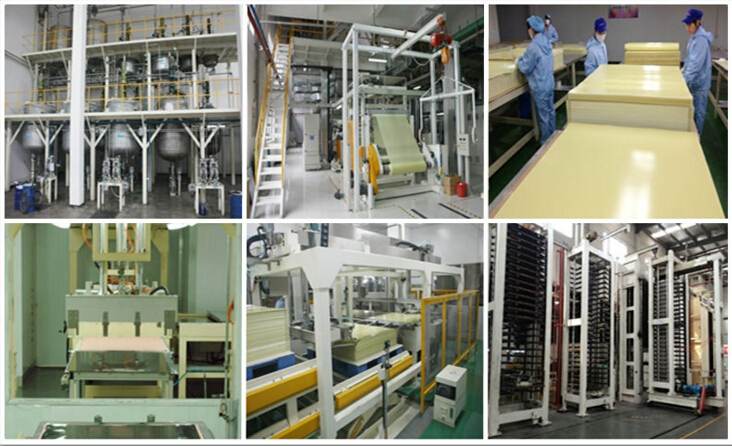 Find G10 Fiberglass, G10 Sheet, Glass Epoxy Laminate Sheet on Industry Directory, Reliable Manufacturer/Supplier/Factory from China. Our Colored fiberglass sheets made from layers of fiberglass and epoxy resin pressed together under enormous pressure and heat. We produce these in both solid colors and multicolored layering. This material is very light but also very strong and stable. Can be cut, shaped, drilled, taped, machined and polished with ordinary tools. See below for all our solid colors and multicolored combinations currently available. All of our sheets are thickness sanded. Especially be suitable for Surfboard fins, Knife handle, and other sport appliances. Colored G10 Epoxy Laminate can be made into Single colors or Multi-layered colors (G10 Mixed Color). Usual colors available in: Black, White, Red, Yellow, Blue, Orange, Olive Green, Gray, Brown, and many others. We also customize colors according to sample or color code. 2) Usual Colors: Black, White, Red, Yellow, Blue, Orange, Olive Green, Gray, Brown, etc. Contact us if you need more details on Camouflage Color G-10 Material. We are ready to answer your questions on packaging, logistics, certification or any other aspects about G-10 Camouflage Epoxy Fiberglass Sheet、G-10 Camouflage Sheet. If these products fail to match your need, please contact us and we would like to provide relevant information.